In response to demand to see “Fair Cop Alfie” live more tour dates have been added for Alfie Moore’s current stand-up tour show GETTING AWAY WITH MURDER. Tickets are hotter than a smoking gun so get yours whilst you can! 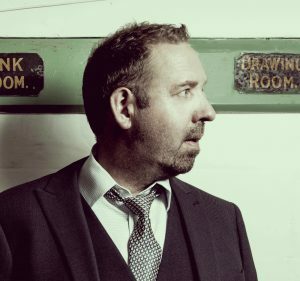 In GETTING AWAY WITH MURDER former Detective Sergeant Alfie Moore, and star of BBC Radio 4 comedy ‘It’s A Fair Cop’, takes you on a thrilling and interactive journey through the art and science of murder investigation. Enjoy Alfie’s trademark blend of humour, practical policing experience and detailed knowledge of the law as he answers the questions ‘What makes a murderer?’ and ‘Why do they caught….or not’? Experience first-hand how it feels to be part of planning ‘The Perfect Murder’. Everything you need to know from choosing a murder weapon to disposing of the body! Book your tickets and see you there. « Funny Business – Standing up to Cancer in Sheffield.